Ali basically grew up in a dog wash facility. She was working full time as a groomer at age 14! Ali has built up excellent grooming and dog handling skills. Poodles are one of Ali's passions. She has shared her life with a total of ten poodles of various sizes over the years! She currently is devoted to two miniature poodles, Jayla and Luca. 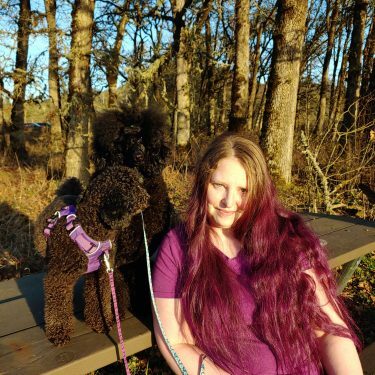 You can find Ali in her spare time playing with her poodles, grooming her poodles, shopping for her poodles, running errands for her poodles, and hiking with her poodles!